Iron Man 2 picks up six months after Tony Stark (Robert Downey Jr.) reveals himself to be Iron Man. Despite his many good deeds, the U.S. Government views Tony’s Iron Man suit as a weapon and demands it be turned over for their use and to protect it from falling into the wrong hands. Tony refuses, saying only he can make and operate the Iron Man and things have never been safer. Soon, Tony is proven wrong as Ivan Vanko (Mickey Rourke), the son of Tony’ father’s Russian collaborator, builds his own power suit to attack Tony for revenge for how his father was treated. Justin Hammer (Sam Rockwell), a rival weapons manufacturer, sees this as an opportunity and hires Vanko to help him defeat Stark Industries in the weapons game. Meanwhile, Tony is also suffering from poisoning due to his use of the suit and needs to dig into his father’s old records to synthesize a cure, while Nick Fury (Samuel L. Jackson) and Natasha Romanov (Scarlett Johansson) provide guidance. If you’re confused from reading the summary, don’t worry. Upon writing it, so was I. It helped me realize exactly how much of a jumble Iron Man 2 is. After the stellar thrill ride of Iron Man, Iron Man 2 is disappointing. Between the multiple plot threads, the indecipherable motivations of its villains and wildly varying degrees of tension throughout the run time, Iron Man 2 is not an enjoyable watch and adds very little to the Marvel Cinematic Universe Canon. There are parts where the plot drags, and different things are occurring with little or no consequence at all. My mom’s opinion was similar, as she fell asleep for most of the middle part. I don’t blame her. After the main villain’s first interaction with Tony, about 30 minutes into the film, he is presumed dead and the two do not meet up again until 10 minutes before the credits roll. And even then, he’s TKO’d in about 10 seconds. What’s Tony up to while Vanko is seemingly dead? He’s attempting to cure himself of the poisoning caused by his suit for some reason. He does this by creating a new element that, to my knowledge, has still never been named. Strangely, this was the part that my mom liked the most, because he was working toward something. It seems they used the poisoning to rewind Stark’s character a bit so he could have another conflict that allowed him to grow in a fashion similar to Iron Man. However, my mom hated the part where he regressed to being “drunk and a jerk”. So at least my mom’s views on Tony Stark’s jerkishness are consistent. As expected, she wasn’t fond of the villain, Whiplash, and I would agree with her. While Ivan Vanko’s motivations make sense upon repeated viewing, they are by no means compelling or clearly communicated enough for the casual viewer. The story of his father’s mistreatment at Stark Industries is communicated only in bits and scraps of background info and then discarded when it’s mentioned he was a traitor in a throwaway line. Also, the casting of Mickey Rourke was an odd choice. My mom said he looked “weird”. I’m not sure that Mickey Rourke can help that, but, regardless, she “didn’t like him at all”. The final battle between Iron Man, War Machine, Vanko and an army of drones is an over the top bombastic CGI-fest with far too many moving parts to track, especially for an old Indian woman who was too tired to pay attention. Even the fact that it was set in Queens didn’t draw her eye, as it would usually. She thought there were too many “robots” and too much “violence” and left it at that. Ultimately, Iron Man 2 fails to live up to its predecessor by presenting a multitude of concepts that are confusing, long winded, and — most damning of all — uninteresting. The biggest shame is that you can see that the bones of a good movie exist, but they are so mired in extraneous elements that even the charm of the performances and the chemistry of the cast can’t save it. And it barely kept my mom’s attention. So if you’re watching these movies with your mom, this is one you can safely skip. Just be ready to explain who War Machine is later… and why he’s Don Cheadle now. Mom didn’t know who Don Cheadle was. I told her he was nominated for an Oscar for Hotel Rwanda. She pretended like she knew who he was, but I know she really didn’t. She seemed really into the theory that the little kid in the Iron Man mask was Peter Parker. I wasn’t aware she knew Spider-Man’s real name. We will be skipping The Incredible Hulk because she thinks he’s “disgusting” and doesn’t want to watch it. Since it has little to no bearing on the MCU’s plot thread and I don’t want to explain another recasting, I’m not averse to skipping it. Sorry if you wanted to see that. Hopefully, she’ll change her opinion on the Hulk when she sees Bruce Banner trying to help sick kids in India during the opening scenes of The Avengers. My mom didn’t understand what was going on in the desert with the hammer and didn’t really care. When Coulson rolled up in the SUV, all she said was “Oh, it’s that guy”. So at least she remembers him. Yeah. I was surprised how lame Iron Man 2 was upon a re-watch. I used to say it wasn’t that bad. But it really is so inconsequential. Though I’m gonna say Thor 2 is much worse. But I haven’t seen that one in ages, either so… maybe I’ll change my tune? This blog is amazing. 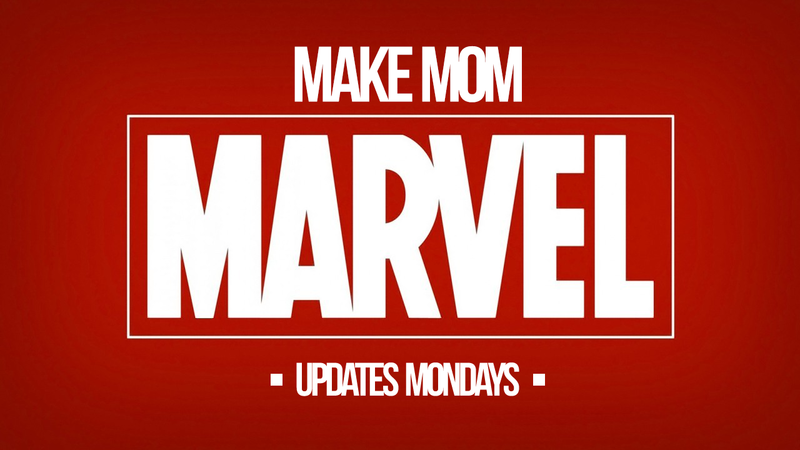 For some reason I am very curious what a random mom thinks of MCU. 😀 I actually find myself agreeing with her a lot. Thank you! I thought it’d be an interesting exercise, especially since she hated me reading comic books & sci-fi when I was growing up. Glad that you’re enjoying this strange trip! Since I’m a huge Iron Man fan I enjoy Iron Man 2 simply for the characters, it definitely has a jumbled plot though and I can understand why a lot of people don’t like it. Skipping The Incredible Hulk is a really good choice too, watching Iron Man 2 and Incredible Hulk in a row might be enough to turn away first-time viewers from the franchise in general. Iron Man 2 is important though due to the relationship it establishes between Tony and Rhodey (that he’s not a yes-man), the difficult relationship it shows between Tony and Howard, and as an introduction for Black Widow. So although the main arc is unnecessary I’d argue that the movie is still important leading up to the Avengers and Civil War. It’s not even necessary to know who Ross is going into Civil War since Bruce isn’t in the movie. Really enjoying your mother’s reactions! Don’t get me wrong, I’m a big Iron Man fan, too. Iron Man 2 just doesn’t bring enough to the table to flesh out the world it helped create. While I agree with you on the relationship between Tony and Rhodey and Tony and his Father, they both feel a little shoved into a film that is already juggling so many other threads that it doesn’t satisfyingly deliver on. Black Widow is also relatively tacked-on. If the plot was better at integrating all these things a bit more tightly, Iron Man 2 would be a worthy successor to Iron Man. Glad to know you’re enjoying the blog!